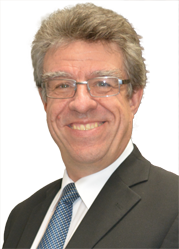 Martyn has nearly 35 years' experience working in commercial property with clients in the East Riding, Hull and North East Lincolnshire. Martyn acts on all aspects of development, sale and leasing of both commercial and residential land and property, including options and conditional contracts, land development schemes, property investment, commercial contracts, mortgage security and general business advice. Martyn began his career in Leamington Spa after completing his law degree at Leicester University. He has acted for a number of large organisations in the Humber region including Hull Trinity House Charity - a maritime charity that owns a portfolio of commercial property in the City. He has also advised a leading housing charity operating in the Yorkshire region, together with a local Housing Association and a Ports Operator. Martyn, a keen classical music and Shakespeare fan, has also worked on behalf of a major car importer operating in the Humber region , and a national and many local housebuilders and developers.